By collecting 25 "Piece of Summoning Scroll" a "Evomon Summoning Scroll" will be created. Piece of Summoning Scroll drops in all maps starting from monster level 93. Drop rate is low. 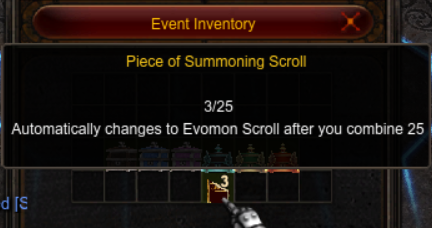 Piece of Summoning Scroll are stored in the "Event Inventory"